The Eclipse Corbel is both beautiful and practical, with a wide range of uses including support for counter tops, mantels and shelves as well as simply decorative applications. Choose from six sizes and four finishes. 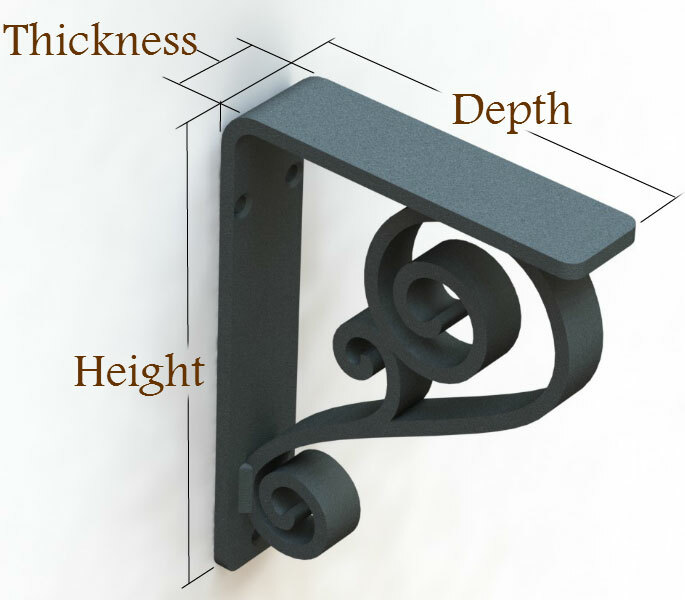 Want to give your corbels a custom finish to match your existing decor? 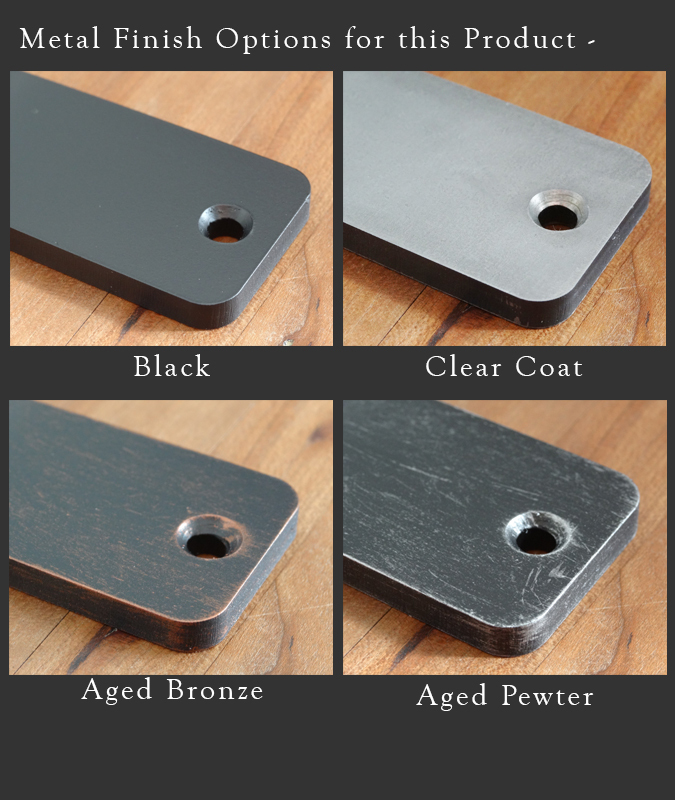 Choose �Raw Material" and they will arrive ready to apply paint or textured finish. Average customer Reviews: 5 of 5 Total Reviews: 12 Write a review. These corbels couldn't be better! They are robust and the rubbed oil bronze color is great. The simple, classic beauty is just what we wanted! We highly recommend them. We love the corbels. Beautifully handcrafted. Very pleased with the wrought iron corbel we purchased. The corbel makes a beautiful addition to our breakfast bar. Excellent quality that will last a lifetime! Received our eclipse 2" wide wrought iron corbels quicker than expected and they looked great. Great quality and craftsmanship. Would definitely recommend to others and will be using Timeless Wrought Iron again on future projects. I love the looks of our corbels. They are different t than any we saw anyplace else. However, for the price, we certainly should have received screws to put them up! Very cheap of you!